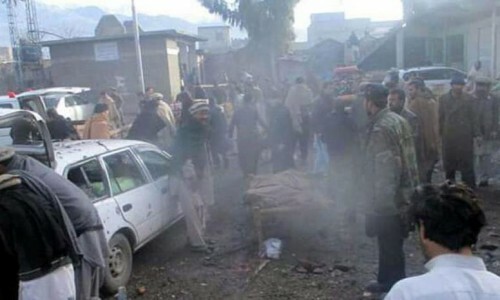 Islamabad : At least 20 people were killed, almost half of them belonging to the Shia Hazara minority, and 48 injured when a bomb hidden in a sack of potatoes exploded in a crowded market in Pakistan's Quetta city on Friday. "The attack took place in a (green grocer's) shop (in Hazarganji area). An improvised explosive device (IED) was planted in a gunny sack filled with potatoes. We are yet to ascertain if it was timed or remote-controlled. An investigation is on," Cheema said. While Cheema said the blast targeted the Hazara ethnic community, Balochistan Home Minister Ziaullah Langove called it a suicide bombing and that it didn't target "a specific community". "Our guess is that no specific community was targeted. Marri Baloch and FC personnel were among those killed as well. The numbers of the Hazara community were just greater," Langove said. He described the blast as a suicide attack. Prime Minister Imran Khan tweeted: "Deeply saddened and have strongly condemned the terrorist attack in Hazarganji market area of Quetta targeting our innocent people. I have asked for an immediate inquiry and increased security for the people. "Prayers go to the families of the victims and for early recovery of the injured."